The first-week collection totaled around 280 crore rupees which are even greater than PRDP and Bajrangi Bhaijaan. With such a whopping amount, movie collection was the highest ever in the Bollywood after such a positive response from the fans. Although the film observed going down from 2nd week onwards the earnings seems not much affected. The average earnings on the weekdays of the actual earnings on weekends and holidays remain on the constraint of 30% generally, but the flick is getting a rate of more than 40%. On Wednesday, a higher occupancy of 60% on an average was observed in many theaters. The main cities like Delhi, Mumbai, and Chennai observed a greater rate of 80% while some cinemas also observed houseful shows. The earnings for the very first day was 36.54 cr rupees in total. This was one of the highest in Bollywood’s history. The talkie was not able to break records of Prem Ratan Dhan Payo and Happy New Year. On day 2, occupancy was a bit lower on the morning shows because of a religious holiday. Eid has brought up new hopes for Salman Khan. Thursday works very well for the superstar where the earnings crossed more than 37.32 crore rupees on a single day. This was a big amount, but it demolishes the hope of beating the highest score ever. Occupancy was not great but still there are many houseful shows in cinemas of Northern India. Since on the 2nd Day, the film also makes it way to Pakistan. Collection of Sultan does the biggest opening ever in Pak with over 2 crore rupees in a single weekday. This was the highest number for any film ever released in Pakistan. As a total, during the first week, the film made around 10.98 crore rupees from the neighbor’s land. It was Saturday on the fourth day, and trade analysts were waiting for a blast. Movie Saturday collections have also set a record for the highest fourth day ever in the industry with 36.62 crore rupees. The previous record was held by Hrithik Roshan’s Krrish 3 for collecting more than 35 crores as fourth-day box office earnings. Sunday was the biggest one in Sultan’s history ever. 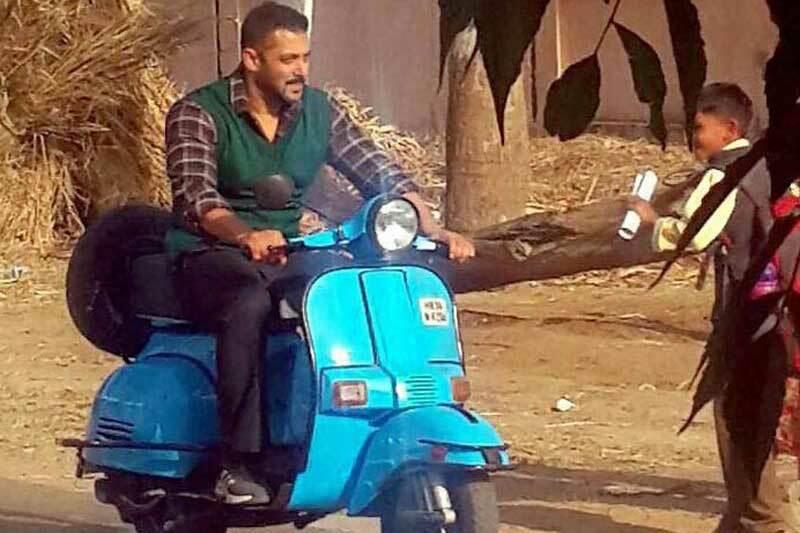 Collections of Sultan goes forward to 38.21 crore rupees from the domestic market only. This was not just the highest for the 5th day, but also proves a thing that Salman Khan is the king of Bollywood. As of total, during the five days, the movie has earned more than 180 crore rupees in total. Monday and Tuesday were not as good for the flick as film observed only 25% occupancy all over the India. Many screens which was continuously showing the film, replaced some screens with the alternatives. Since there was no big release during the week, movie trends go seamlessly without any issue. During the last 2 days of the first week, earnings touched the mark of 30 crore rupees. the talkie eighth collection on Wednesday was good enough for the movie as the film was able to mint out 14.89 crore rupees from the boxoffice collections which is more than 40% of the earnings of opening Wednesday. As a total, first-week earnings of the film were 210 crores net and 280 crores Gross from the domestic market. The later days will be low for the film. Still there is hope from the worldwide collections during the second weekend. Sultan first week collection ended up with earning over 380 crores rupees in total. There could be fringe variations between the figures because of information arrival and delayed from different cinema halls. Overseas collection is always counted on Gross figures because of limited resources. The film could lead the BO with over 600+ crores in less than 3 weeks. SALMAN KHAN IS INDIA’Z BEST AFTER AMITABH BACHCHAN. ..TRUE PERFORMER AND A PASSIONATE HUMAN BEING. GOD BLESS HIM FOR ALL HIS GUD HE DOEZ FOR THE UNDER PREVELEDGE. .